A 24-year-old old man arrested on suspicion of the murder of Lurgan man Marcell ‘Junior’ Seeley remains in custody, say the PSNI. Mr Seeley (34) was found dead in his ground floor flat at Dingwell Park, Taghnevan on Tuesday. Police said they are treating his death as murder. 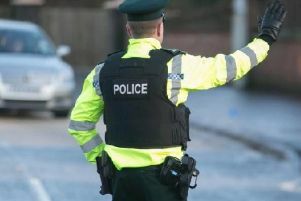 A 24-year-old man was arrested in Craigavon on Wednesday. A PSNI spokesperson told the MAIL that the suspect remains in custody. Police have appealed for anyone who saw anything unusual in the Dingwell Park area in recent days to contact them. It is understood Mr Seeley was discovered with head injuries. A team of forensic experts were still combing the scene yesterday and two police Land Rovers guarded the property. Most of the glass windows in the flat have either been smashed or boarded up with wooden panels or plastic. Detective Chief Inspector Eamonn Corrigan, who is leading the enquiry, said: “If anyone saw anything unusual in the Dingwell Park area in recent days, we would like them to contact detectives at Mahon Road police station by calling 101.